Yesterdays limited results and cold temperatures had me excited to sleep in a bit. I had a few errands to run in the morning but I was still on the ice around 10. I cut out a large area on a dated waypoint from a few years ago but was disappointed to see that the weeds were thick and right to the surface. About two holes in to a patch of sparse weeds that I found, I heard voices from kids coming my way. I poked my head out of the shack and saw a mother with two little ones. They were looking for someone to let them fish some holes so I found a good looking hole and helped the kids land a few fish before the cold drove them away. The were bummed their trip was short but at least they didn’t get skunked! 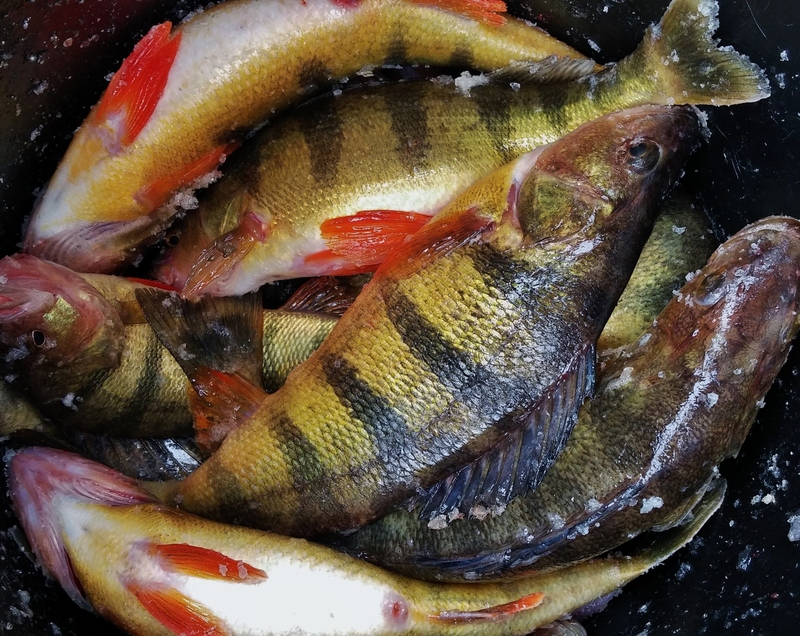 I spent the rest of the day huddled in the warmth of my shack sight fishing gills as they moved around. It was possible to sit in one hole and catch a fish on average every other minute but it’s hard for me to be content with that. I kept cutting trying to locate the weed edges that ranged from nothing to dense. Towards the end of the day I found a good concentration of big gills in just a few feet of water. I spend the rest of my time sitting in one hole pulling fish after fish until I needed to get home. 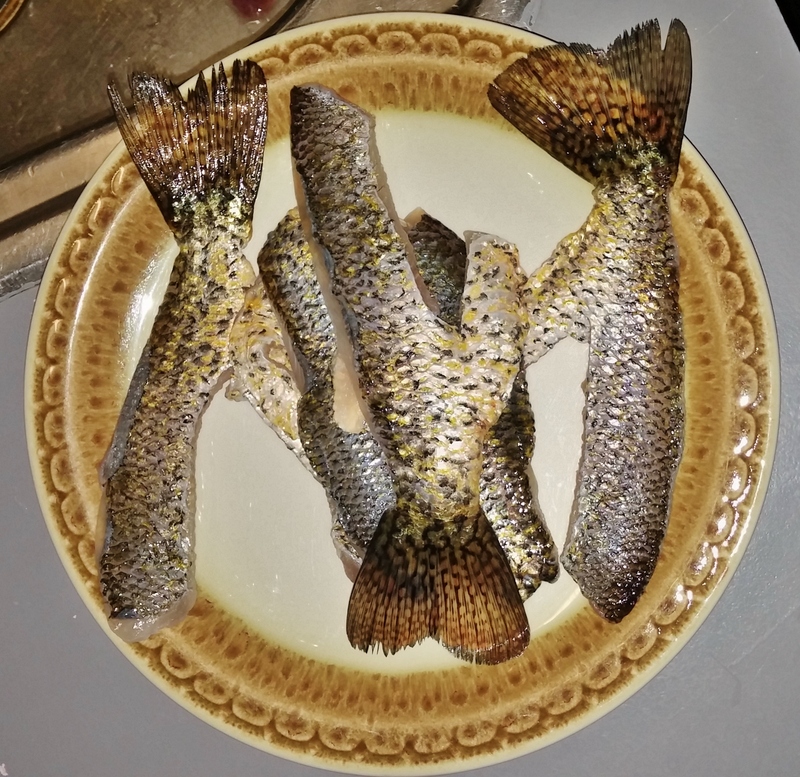 My scouting mission was a success and now I am ready for when someone needs a good bite! I started off my day with a trip to the dentists so things were off to a late start. 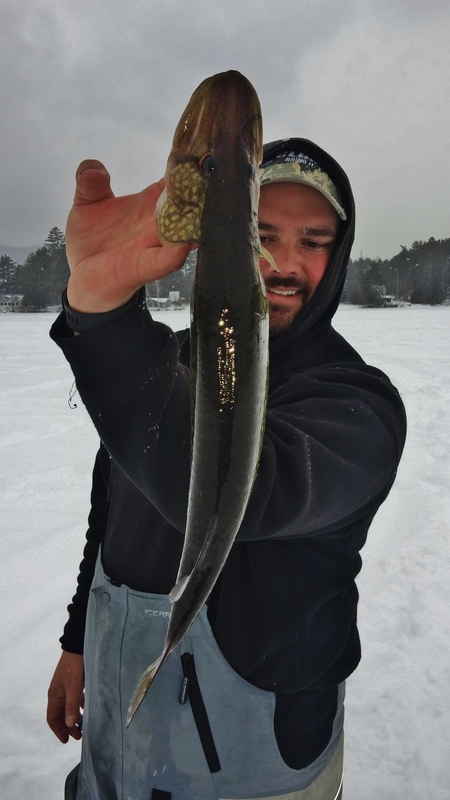 The snow was flying and with past experiences, many of the best bites have come under similar conditions. The worst part of the day was the 30 mph winds that were predicted to blow! 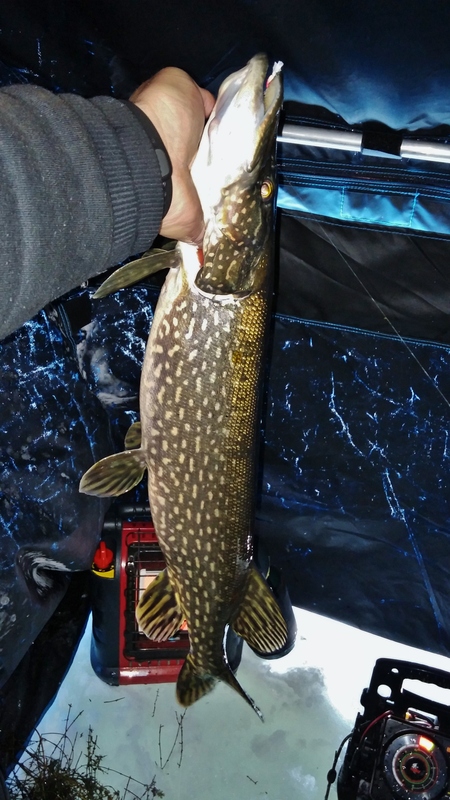 I hooked up with my buddy around 10:30 and we started fishing on a spot that we hadn’t cut up yet this winter. Things were slow and the few fish that we found were sitting over the top of short weeds in 10+ feet of water. The weedbeds for the most part were almost too thick to fish! After a few slow hours, we packed up and made a move to a new bay hoping things would improve. After arriving at the second stop, we made small talk with the only guy in the area. He agreed the fishing was slow but told us to cut where ever we wanted. 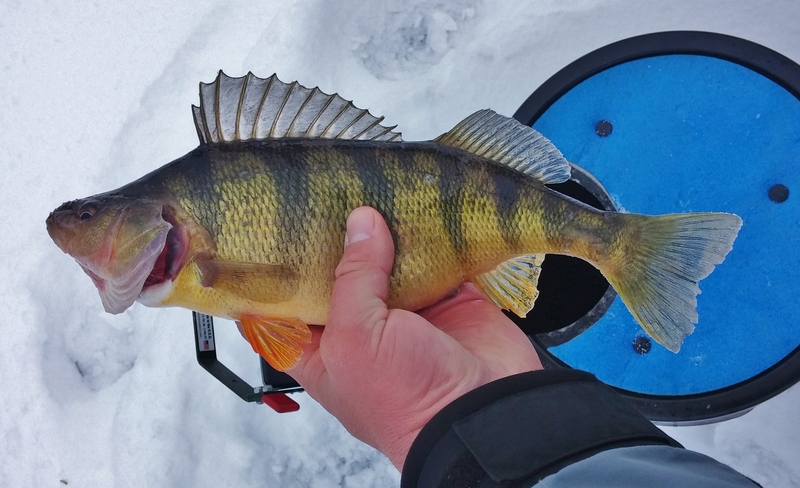 As we worked through the fresh holes, we picked away at the few fish that were around. We knew we weren’t on the spot so we moved in multiple directions until we found a concentration of better sized fish. We worked over the area pretty well and were content with the results that we were seeing. 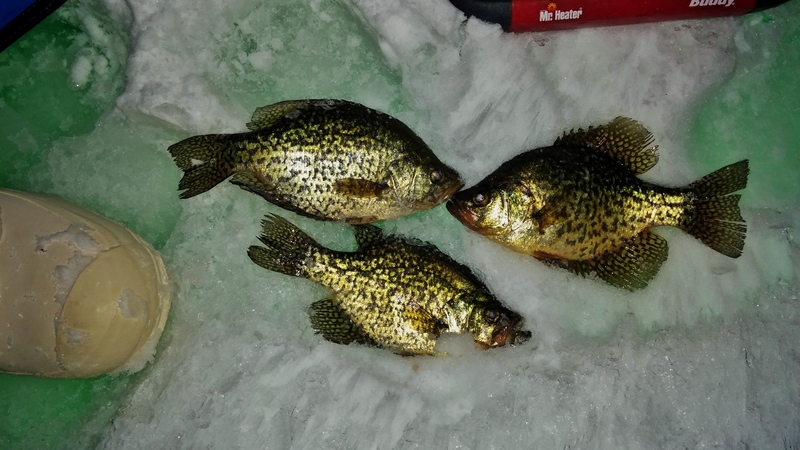 We were even able to find a few crappie in the area. 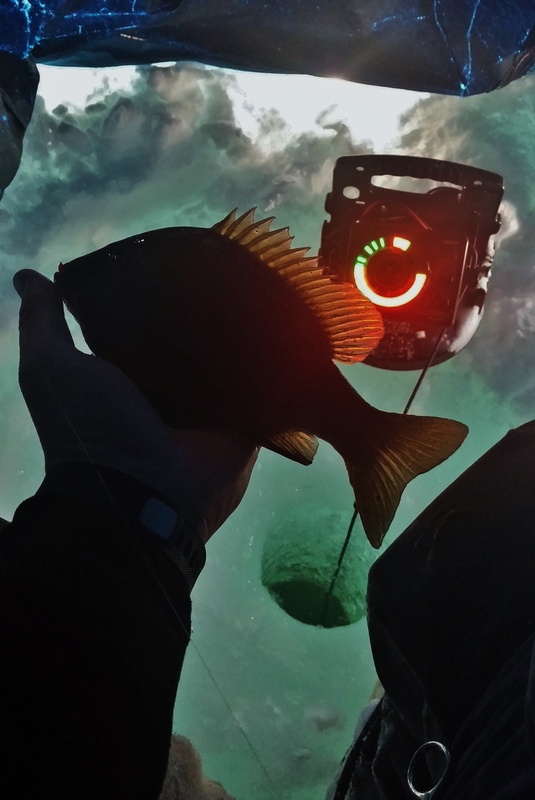 Things were looking up for an evening Hydro Glow bite! Around 4:30 the wind really started to pick up and the bite shut off. From then until about 8 I could mark fish on my flasher but getting them to bite was nearly impossible. It was time to call it a night and rethink strategies for tomorrow! We got the go ahead from the women to hit the ice on Valentine’s day. 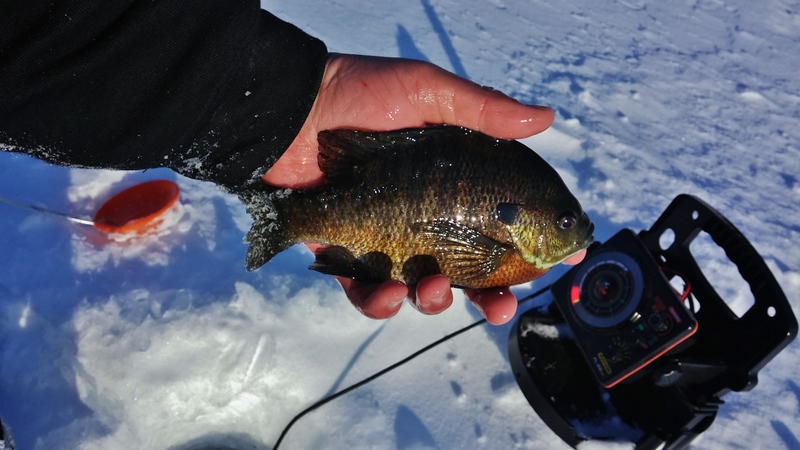 After sleeping in just a bit, we were headed out on the ice just after 8 to find some panfish. 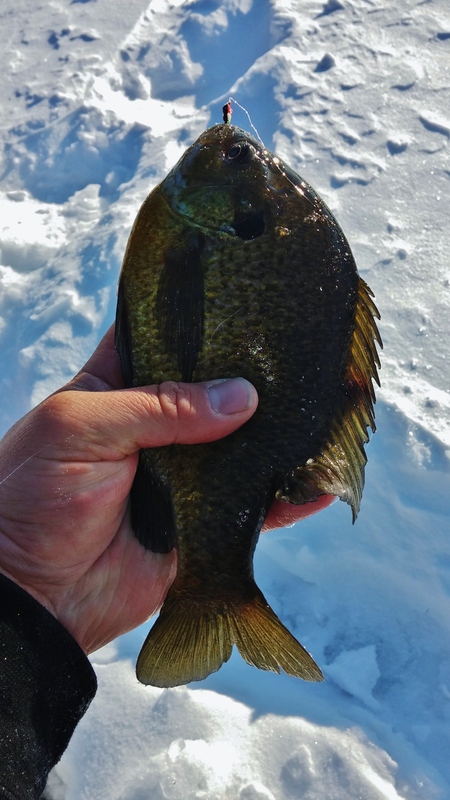 The bite has been decent but the fish quality varies constantly with a lot of small fish in the mix. Only a few people were out most likely do to the cold temps, wind, and snow. After cutting our way out, the fish seemed to be located over one specific weedbed. To combat the cold, we shacked up and got the heaters cranking. The fish bit. There was nothing you could do wrong as long as the kept the jig moving. We sat 15 feet apart all day once we found a decent pod of fish. The action was constant for gills and the crappie came through in the mix. We were set up paralleling a nice weed edge that the fish were using. 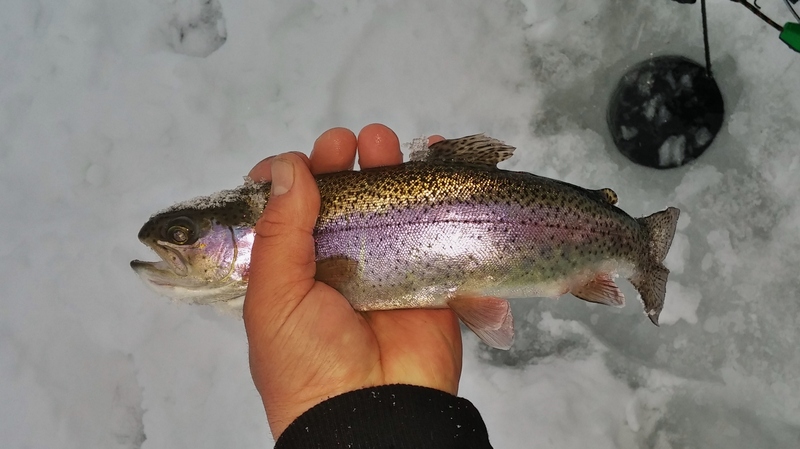 Although the bite was steady throughout the day, the best bites were when the snow came down hard and when the sun was shining. 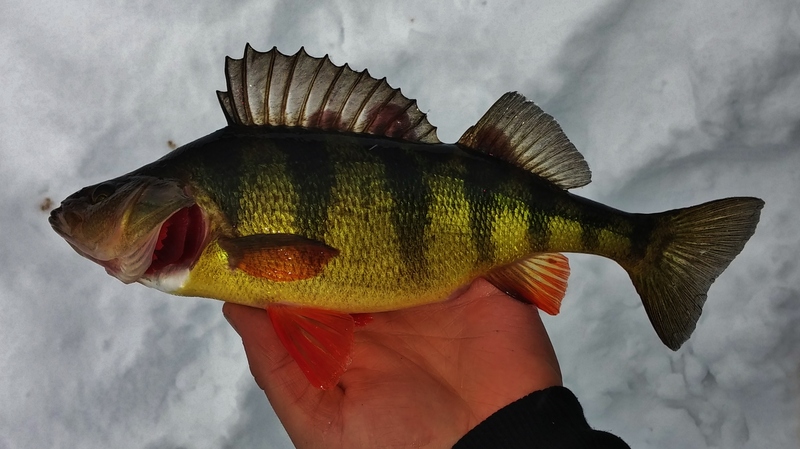 The extremes seemed to bring on the bigger fish. While these were the times to capitalize on, fishing high in the water column also seemed to weed out quite a few of the smaller gills. We made it home safely after some slippery roads most of the way home!